From remote villages in India, to schools across the U.S., to refugee and migrant camps in Africa, technology can help people start a business, further their education, or access new — and sometimes vital — information. Google.org supports hundreds of nonprofits globally who are working to open up opportunities for the most vulnerable populations. As part of this ongoing work, this holiday season we’re donating $30 million in grant funding to nonprofits to bring phones, tablets, hardware and training to communities that can benefit from them most. This holiday giving brings our total grant funding for nonprofits this year to more than $100 million. 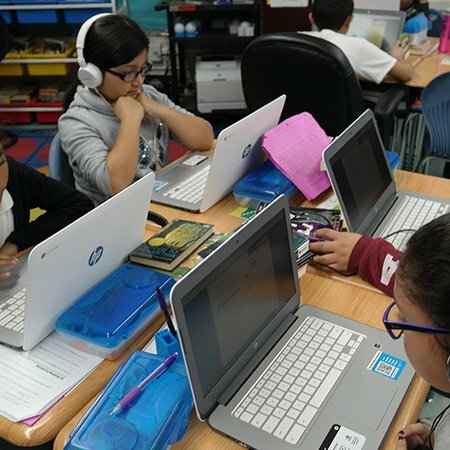 In the U.S., Google.org is supporting classrooms in need by funding projects that have requested Chromebooks and other technology via the educational giving platform DonorsChoose.org. 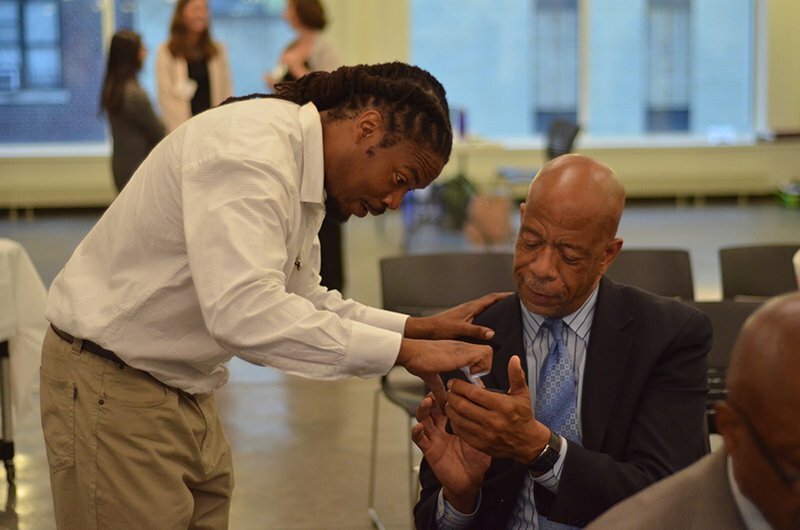 For example, Mr. Jones, a teacher at Ronald McNair Academy in East Palo Alto, CA, where many students come from high-poverty communities, requested devices to help his students learn both inside and outside of the classroom. Our $5 million grant to DonorsChoose.org will provide more than 150,000 K-12 students across the United States — from Bunche Middle School in Atlanta, GA to Timberland Charter Academy in Muskegon, MI — with critical learning resources. We’re also supporting nonprofits whose programs ensure that everyone has a chance to participate equally in society — from people experiencing homelessness to individuals disconnected from pathways out of poverty. In the Bay Area, Abode Services will help more than 1,200 re-housed homeless people receive laptop computers and related training as they move into their new homes in order to provide access to employment, social services and transportation information. 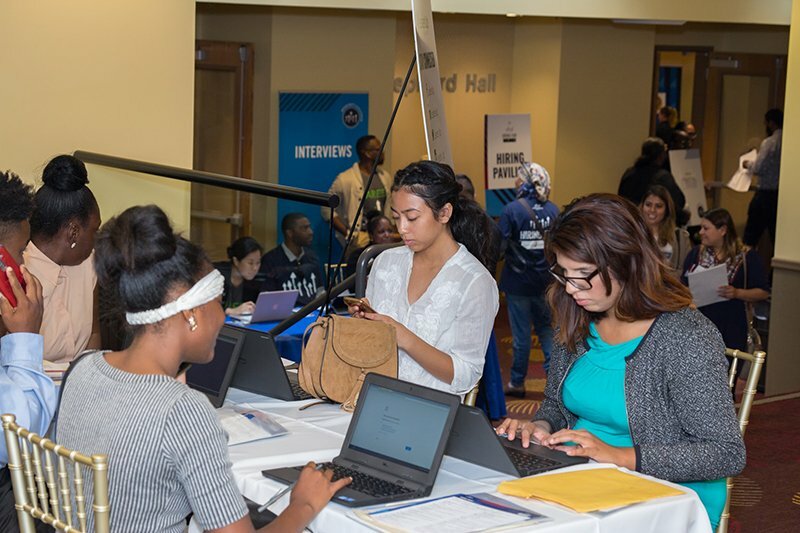 Across the nation, LeadersUp will increase access to opportunities for unemployed young adults to connect to careers that lead to family-sustaining wages 350 percent above the poverty line. By providing funding for thousands of devices to assist people being served by organizations like Defy Ventures and LifeMoves, we’re ensuring that more people have a fair shot at opportunity. Students of Mazahua indigenous group explore learning materials on a tablet at an UNETE-supported school in San Felipe del Progreso, State of Mexico. 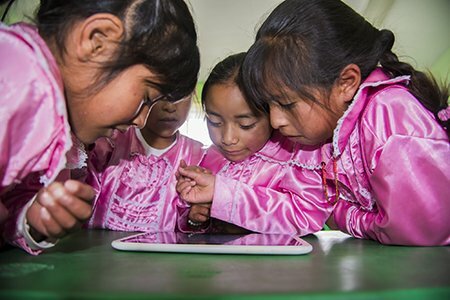 In Latin America, we’re supporting UNETE to bring computers, tablets and charging stations to classrooms across Mexico — giving students access to new curriculum materials, videos, and learning games. UNETE is committed to helping teachers be successful, and we’ll pair funding for this technology with training and support services. And in India, our grant to Pratham Education Foundation will help them expand their work to help kids in rural communities learn. By using tablets across a range of their programs, from preschool through middle school, Pratham will be able to bring new, engaging content to kids and instructors. Children in Uttar Pradesh, India share what they’ve been learning on a Pratham-provided tablet with their family. For millions of people who have been displaced from their homes, the ability to start or continue an education can become a lifeline. 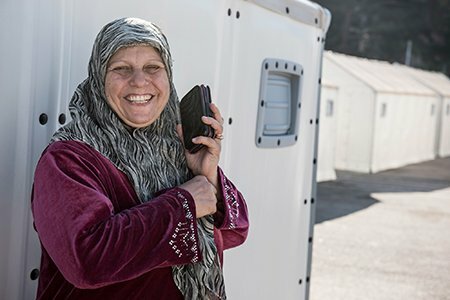 As part of our refugee relief efforts, we’ve expanded our support of Libraries Without Borders for their “Ideas Boxes” — portable multimedia centers with Internet access and their own power source. This grant will help fund 14 additional Ideas Boxes, enabling more than 90,000 refugees to access educational resources in refugee camps in Europe and Africa. Around the world, we’re funding NetHope to distribute and deliver devices through organizations working with the most vulnerable populations, including women and girls, who often struggle most to get the resources, education and opportunities they deserve. In addition to these Google.org grants, every holiday season, we hold a “Giving Week” where our employees around the world can donate to the causes and organizations they want to support, and Google matches all donations. This year’s Giving Week was our biggest yet. More than 50 offices participated, a third of the company pledged, Google matched, and the total impact will be $24 million to 750 nonprofits around the world. Causes ranged from supporting the victims and survivors of the Ghost Ship fire in Oakland, to helping vulnerable women in Mexico through VIFAC, to fighting hunger and malnutrition with Akshaya Patra in India. Other giving trends this year included causes like refugee assistance and transgender rights, and support for civil liberties and women’s health organizations. We hope the combined $54 million in grants for technology, employee donations and Google matching will help those in need around the world this holiday season. As we look ahead to 2017, we’ll continue our work to support nonprofits and communities around the world.